Brightly coloured self storage facilities are springing up all over the UK and leading the charge is Lok’nStore! You can’t have helped but noticed the amount of self storage buildings that have been springing up all over the UK in the last 20 years. At first many of these buildings were sited at the back of a 1960s industrial estate in a converted warehouse, but times have changed. 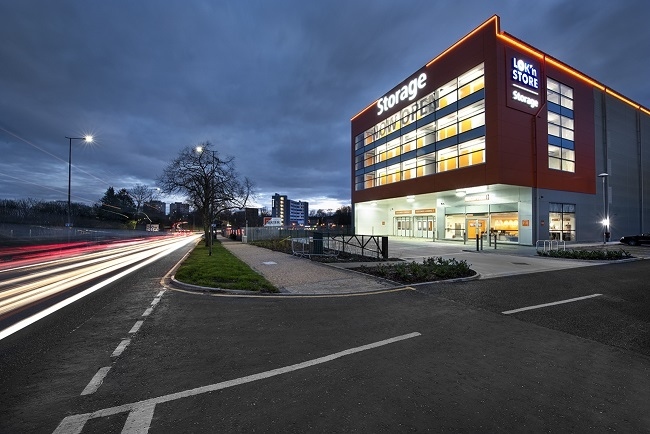 More often than not in 2018, a brightly coloured self storage facility will be positioned at the very front of a retail park, neighbour to well-known high-street brands such as Next, MacDonald’s, Sainsbury’s and Tesco’s. In the last 5 years self storage has gone mainstream and has become something people except as part of modern life. We have more personal belongings now, than at any other time in our societies history and we need somewhere safe to keep them! With houses, flats and property sizes reducing to enable developers to make more profit, people are finding that storage space has now become a luxury. As lofts, attics and garages become more and more crowded, homeowners and renters have been forced to look elsewhere for secure storage. Self storage companies have stepped in to help these householders who are struggling for space in modern life. Most towns and nearly every city in the UK now has at least one major player in the self storage industry and probably a number of smaller companies offering storage and removals. Lok’nStore currently has 29 storage facilities (July 2018) open at prominent locations across the south east. 11 of these stores were purpose built for Lok’nStore and are now considered local landmarks in their bright orange cladding. With more storage centres also due to open in Exeter and Dover this year Lok’nStore will be over 30 stores by the start of 2019. Lok'nStore Self Storage in Hemel Hempstead.